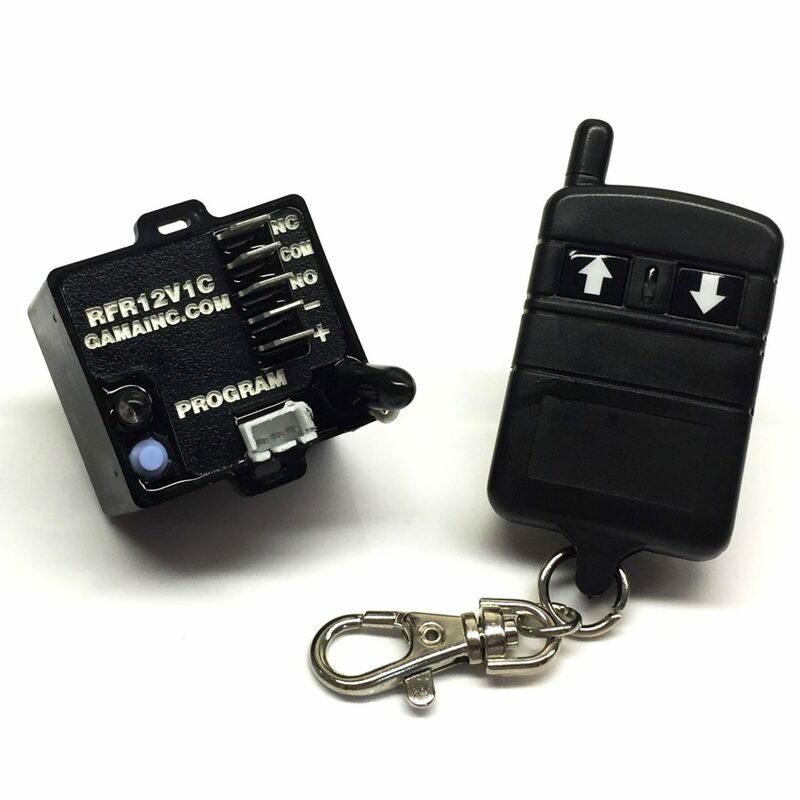 The RF340-4PR-ASL is a RF Transmitter and Receiver operating at a fixed frequency of 340 MHz. The Receiver operates from 12VDC and provides four polarity reversing outputs. The Receiver has terminal blocks for connecting the input power and output to the 4 polarity reversing relay outputs. Each Transmitter has a unique address that is transmitted when a button is pressed. A “program” button is provided on the Receiver to program the Transmitter(s) address into the Receiver’s memory. An LED on the Receiver indicates the Receiver’s programming status and illuminates when the Receiver is energized. The operating range is at least 100 feet. The Transmitter has two buttons assigned to each of the four outputs. The up (^) button runs the motor in one direction and down (v) button runs the motor in the opposite direction. 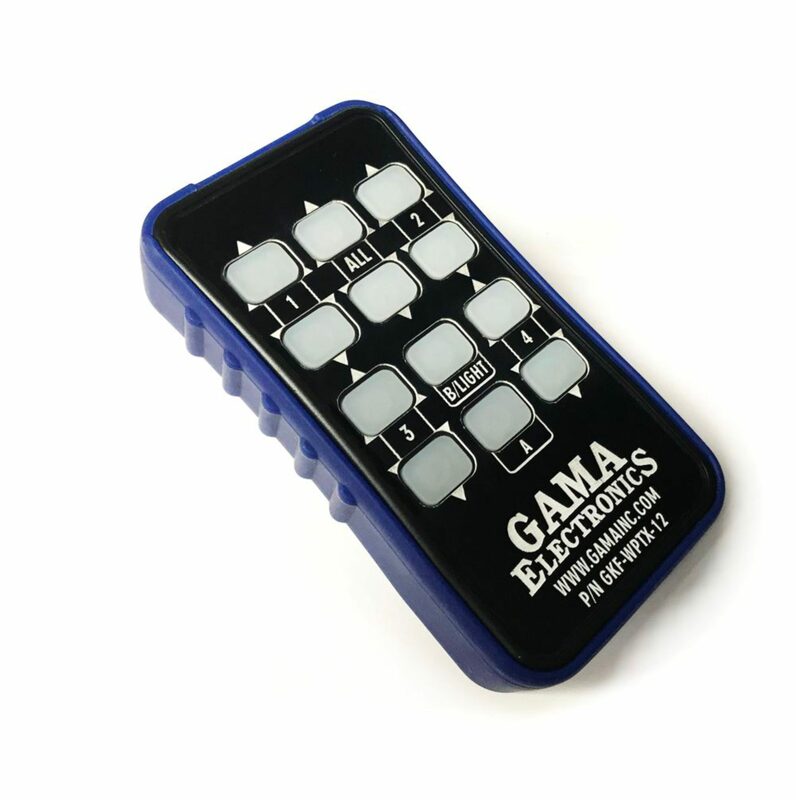 The outputs are energized for as long as the buttons are depressed. There is an adjustable timeout feature incorporated into the Receiver. To turn the Receiver on, first press and release the “A” button on the Transmitter. Within two seconds, press and release the “B” button on the Transmitter. 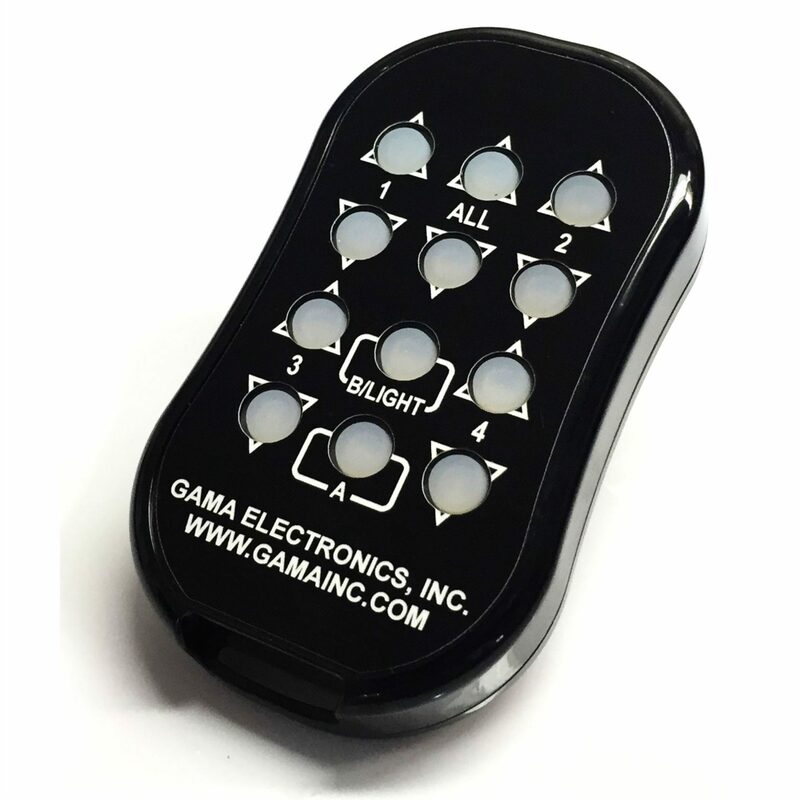 The LED on the Receiver will illuminate and the Receiver will now respond to transmitter commands and will automatically turn off after the time set by the switch. The time out adjustment range is from 0-minutes (no time out always active) to 1-hour. 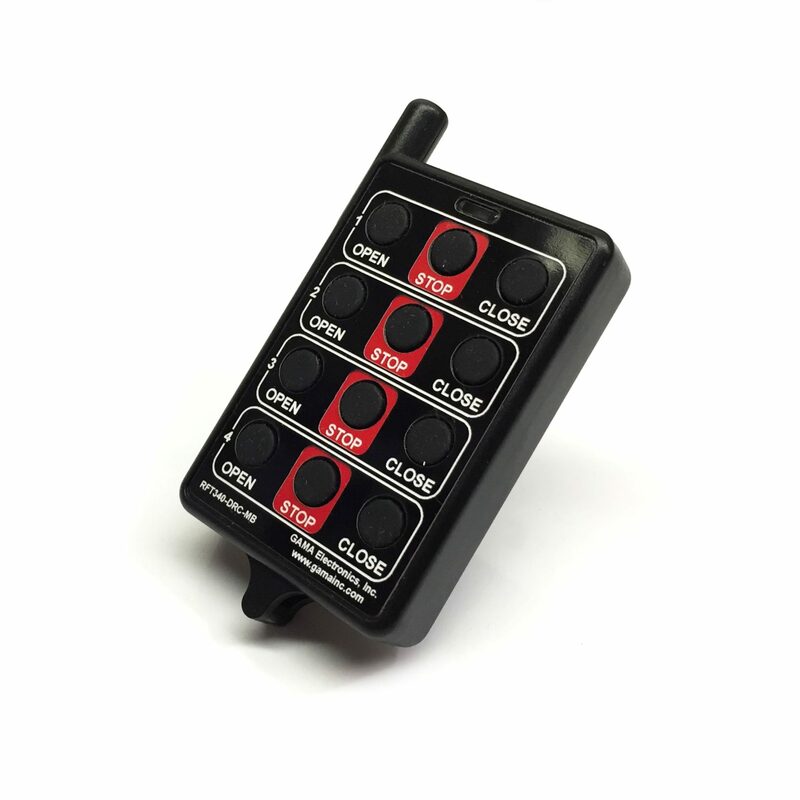 When the Receiver is configured for no time-out, the transmitter is always active and does not require the 2-button turn-on sequence. 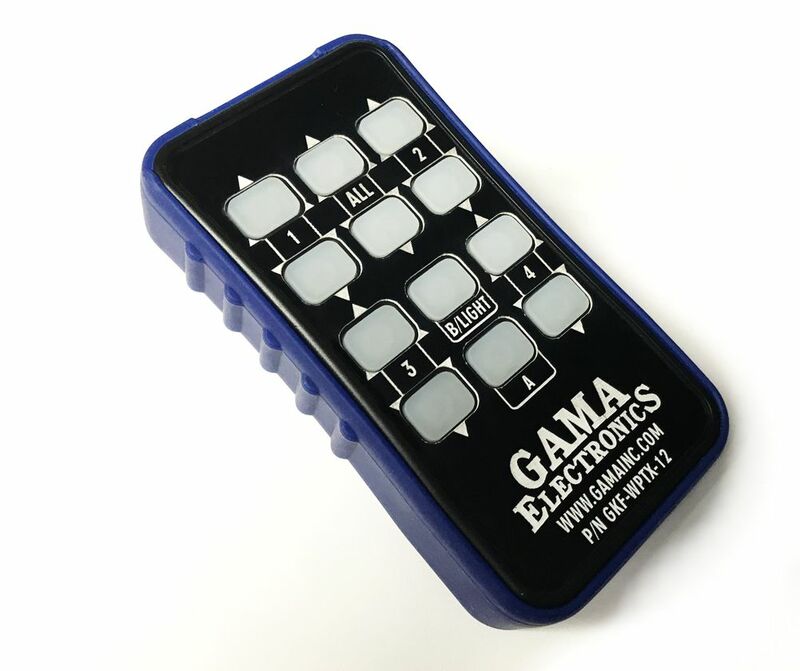 The receiver contains a 10-position terminal block for connection to manual switch inputs to control the 4 polarity reversing outputs. 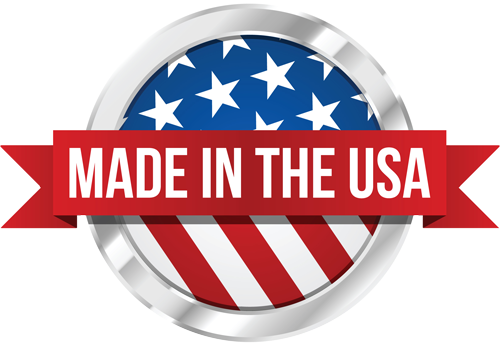 The manual switch inputs are logic level inputs and only require small gauge wires between the switches and terminal block. 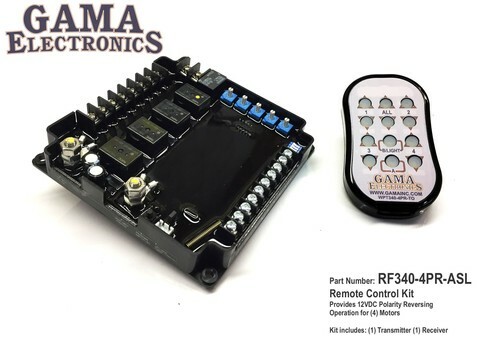 The RFR340-4PR-ASL incorporates output current detection that will disconnect an output when the output exceeds the current setting of the DIP switch for that output. When multiple outputs are activated, the total current of all active outputs are monitored. The sum of the current for all outputs will trip the current shutdown when 80- amperes is exceeded. When the current shutdown activates, all outputs are shutdown for 5 seconds. After the 5 second reset time the output can be activated by the pressing the corresponding switch on the transmitter. 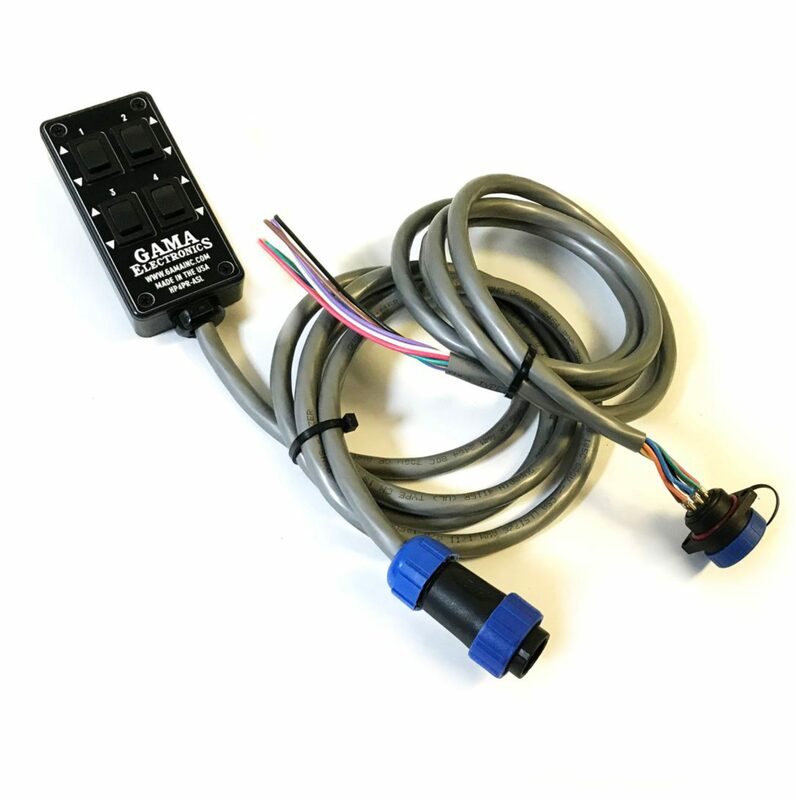 The system will monitor the current trip circuit and will allow the outputs to be activated 3 separate times when a current trip threshold occurs. After the third consecutive current trip occurs within a one-minute time period the receiver will turn off all outputs and the program LED will start to flash. The input power to the receiver must be turned off and then back on to re-activate the system. This is a safety feature to protect the receiver and connected loads, and alerts the user there is an over-current condition that should be resolved. 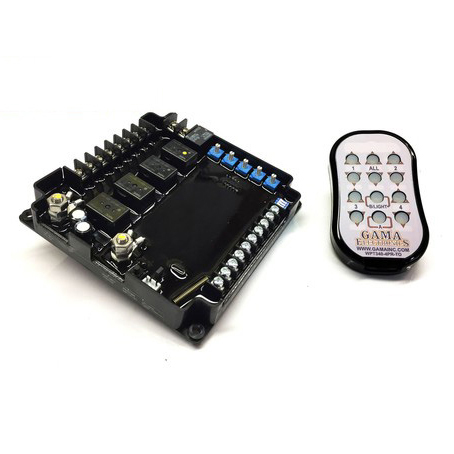 Each of the 4-polarity reversing outputs can be configured for momentary or latching. For momentary operation the output will be present for as long as the transmitter switch is pushed, releasing the switch will stop the output. 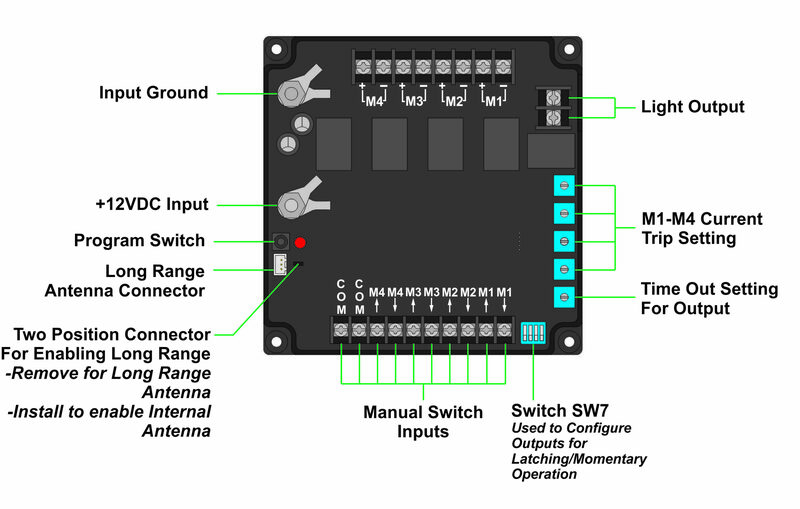 For latching operation the output will turn on once the transmitter switch is pushed and released; pushing and releasing the same switch will turn off the output. 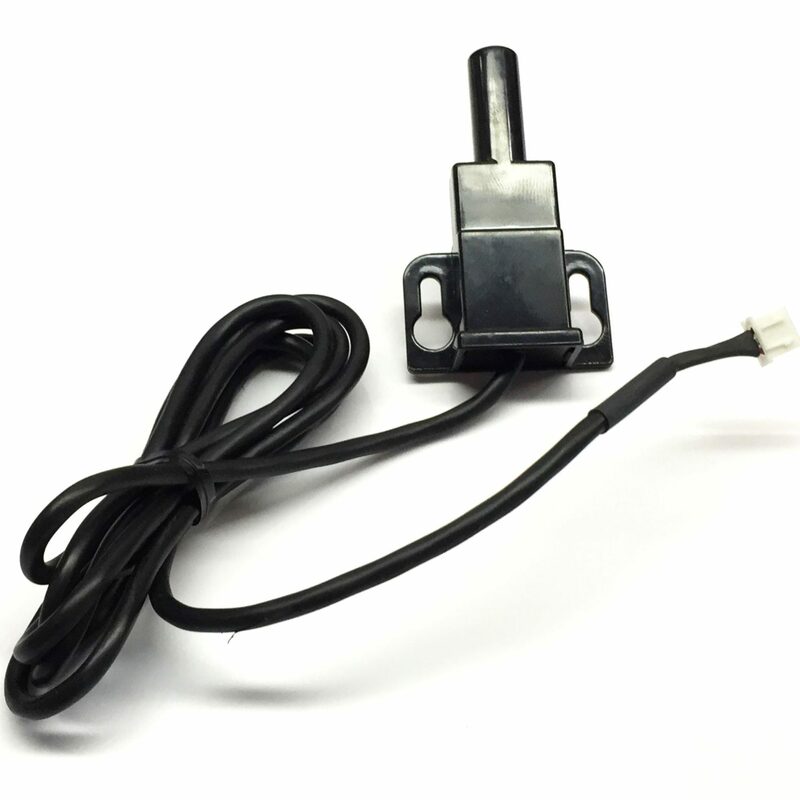 Switch SW7 on the Receiver is a 4-position DIP switch and is used to select the mode of the 4-outputs. Placing each switch in the “UP” position sets the output for latching; the “DOWN” position configures the output for momentary operation. Each output can be configured independently. Typical transmit range is 100 feet. 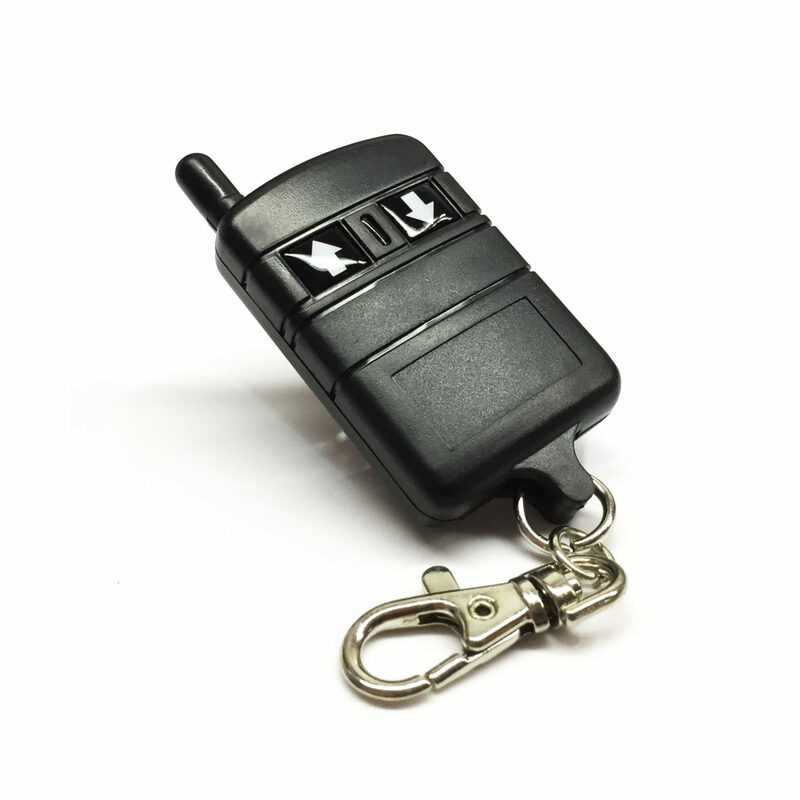 Remote control operation can be programmed for momentary or latching operation.